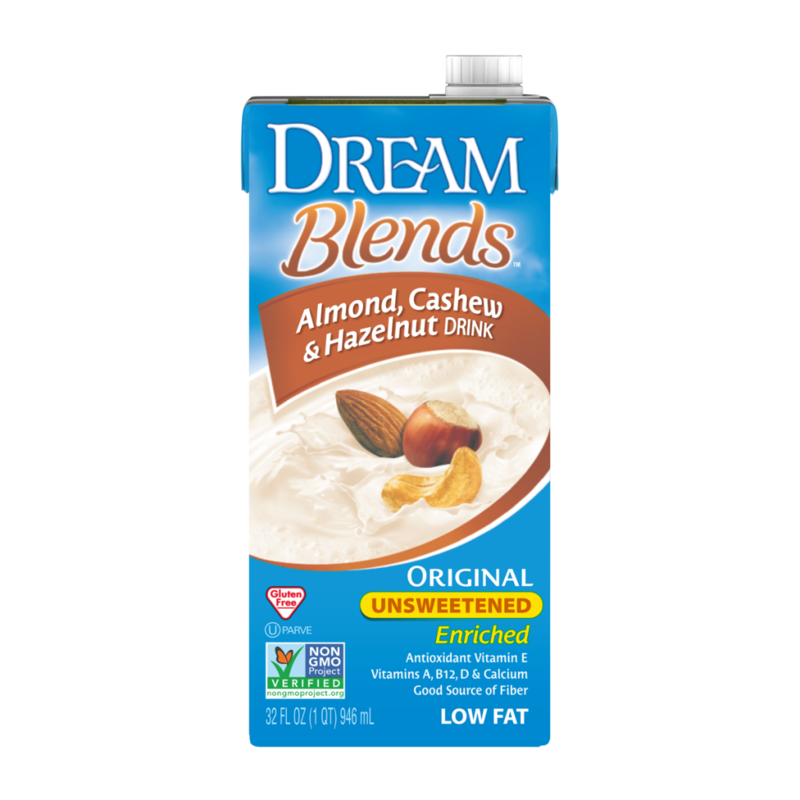 DREAM™ Blends Unsweetened Almond, Cashew & Hazelnut Drink is a unique blend with a creamy, deep nutty taste. Made from real almonds, cashews and hazelnuts without added sugar, it’s a good source of fiber, low in fat and rich in calcium. Enjoy it by the glass, over cereal or add to recipes to bring a delightful nutty flavor to any dish. Want to learn more about the benefits of DREAM™ Blends and our other products? 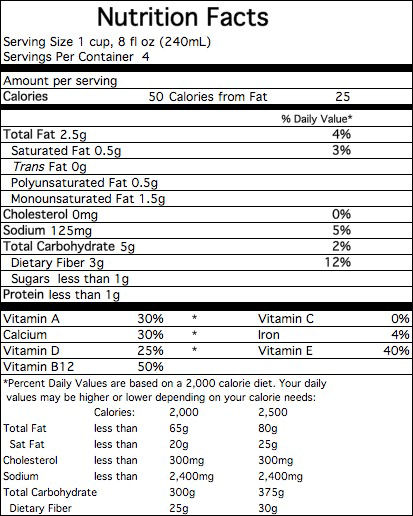 FILTERED WATER, NUTS (ALMONDS, CASHEWS, HAZELNUTS), INULIN, TRICALCIUM PHOSPHATE, SOY LECITHIN, CARRAGEENAN, GELLAN GUM, NATURAL FLAVORS, SEA SALT, VITAMIN E (D-ALPHA TOCOPHERYL ACETATE), VITAMIN A PALMITATE, VITAMIN D2, VITAMIN B12. CONTAINS: TREE NUTS (ALMOND, CASHEW, HAZELNUT), SOY.